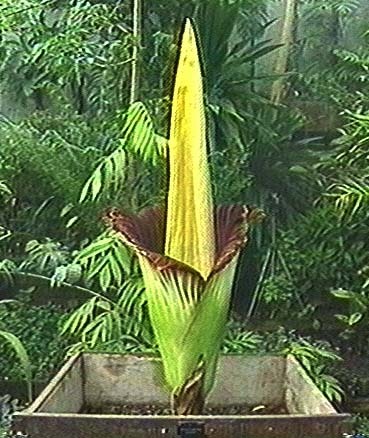 This page contains all links to A. titanum photos that I found on the Web. Blooming at Kew, August 1996. Scanned by CNN. Blooming in Leiden, some time in 1994. Scanned by Al Wooten. Gif embedded in a page dedicated to stinking flowers. Back to the Amorphopallus index.